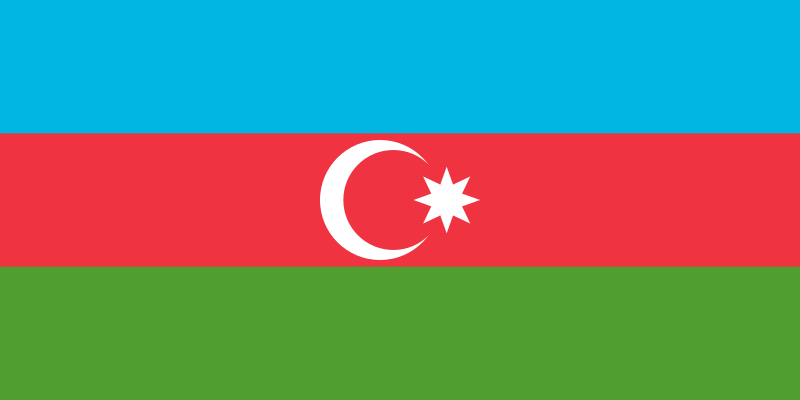 19:34, 28 Май (Бугу) 2011 1,200 × 600 (722 bytes) Zscout370 Did the math and the previous drawing was not correct according to http://en.wikipedia.org/wiki/File:Flag_of_Azerbaijan_%28construction_sheet%29.JPG. The white crescent size is still troubling me, but everything else I done does match. 21:49, 23 Февраль (Бирдин айы) 2011 1,200 × 600 (1 KB) Zscout370 Combined the version with the correct dimensions and my version with the correct Pantone colors. 18:40, 18 Февраль (Бирдин айы) 2011 1,200 × 600 (1 KB) Sertion Reverted to version as of 09:37, 13 November 2009. No actual improvements.